Originally created for the needs of primary students with reading challenges and focus issues, years of refinement and modification have extended the benefits of BAVX exercises to those of nearly any age who struggle cognitively and/or physically. BAVX is now used on three continents to address conditions such as LD, ADD/ADHD, FAC, PTSD, anxiety, imbalance, stroke recovery and Parkinson’s. BAVX was developed by Bill Hubert during years of working as a school teacher and a martial arts instructor. 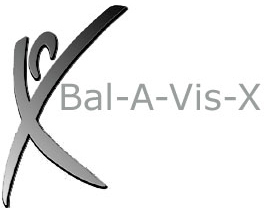 To learn more about Bal-A-Vis-X, we encourage you to visit the website at www.bal-a-vis-x.com. This workshop is for Teachers, Physical Therapists, Occupational Therapists, Educational Therapists, Speech Pathologists, Tutors, Counselors, Paraprofessionals/Aids, and Parents/Caregivers! This is a 3-day workshop. Training is from 8:00am – 4:30pm each day with a 30 minute lunch. No one may attend partially. Attendees are required to attend the entire 3 day workshops. A certificate of attendance will be given to all participants for 24 contact hours. Space is limited to 60 participants. Tell us about yourself! Are you attending for personal or professional purposes? What are you hoping to gain by attending this workshop? What are you most looking forward to in this workshop? Any areas of special interest?